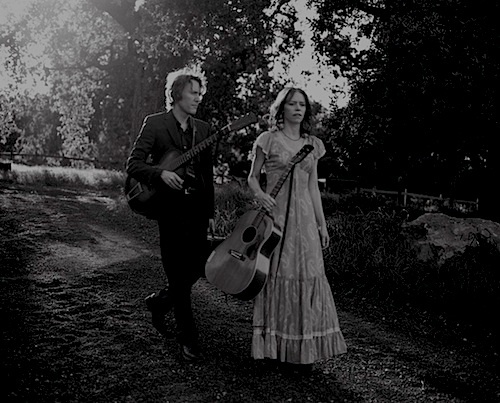 I must credit the Lovely Carla for tipping me to the music of Gillian Welch and David Rawlings. Carla fell for their music first. I was slow to the draw. But their stripped-down, back to basics approach is very powerful. Two voices, two acoustic guitars; that’s the template, and it’s great. I’m reminded just how much I love the sound of an acoustic guitar. It’s a big part of our band’s sound too. I play a big, beat-up, old Hohner acoustic that I’ve had for many years. I love the organic, sturdy nature of the instrument. There is honesty and truth in the plain sound of a resonant acoustic guitar. Downloading right now. It sounds great!